Branches and roots and bark and being a home for others: I want to be a tree sometimes. I like being a bear, but I would be fibbing if I said I never dreamed about being a tree. Trees are noble, silent, and everseeing and probably everknowing and smell great. Trees are tall and impressive. They taste good. They are fun to chew on. Trees are everything to everyone forever and never complain about having to fulfill that duty all of the time. I am not a tree, though. I will never be a tree. And maybe that is for the best, but I do like pretending I can be a tree. 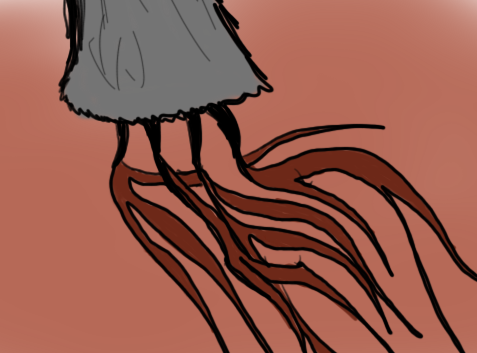 One of my favorite pastimes is digging my pointy claws into the soft earth and pretending they are tangled roots to my tree being. I dig in and settle myself and let the wind and the elements run through my fur and my ears. I pretend I can see everything in that spot forever. I imagine the seasons passing over me constantly and consistently. I imagine my fur as gnarled branches reaching toward the sky, acting as homes for birds and bugs and bees and leaves and light and anything else that is light enough to stay there when it wants to. I close my eyes and think about existing in the same spot for what must feel like always and experiencing that single spot for so long that you know everything about it. Eventually the soil gets uncomfortable, though. I realize I am not a tree and shake the dirt off my toes and go back to being what I know I am: a bear. I will never truly get to experience the longevity or evereverythinging of treeness. I only know how to experience bearness. I suppose that is not too horrible, but I do constantly find myself trying to know existing beyond what existing as a bear has to offer. I wish I could be like the raccoon I ran into while sleeping in a dumpster a few days ago who was chewing on his own leg and foaming from the mouth and (maybe even) the ears: I wish I could just accept who I am. But I cannot. I think I always desire the -ness of another being, and I will probably always have a hard time accepting my own bearness. I can still pretend, however. I can still take a few moments out of my day to hurl my claws into some dirt and pretend that I am a tree. Even if I am just a bear. This entry was posted in Bear thoughts and tagged @a_single_bear, adventures, bear blog, bear thoughts, bears, humor, justasinglebear@gmail.com, nature, thoughts, trees, twitter on October 26, 2015 by A bear. I am going to pretend to be a bee. Hello, I am a bee. Living in the wherever bees live (maybe some kind of flower?) is great, and I have many observations of that environment, including other inhabitants of the same environment and neighboring environments. For example, I, probably, know many other flying insects. Those insects sure are fascinating to me, a bee, and I can relate to them because I, a bee, can also fly and am an insect. I suppose I do not like dumpsters like most other creatures that exist, presumably. That is probably because I am a bee and bees are small. Wait, I am a bee, so I am unaware that I am small because something being small is really relative to my size so I guess I am regular sized and maybe something like blades of grass are small? I am am not small. I have a stinger that I, for reasons that are unknown to me or anyone else for that matter, use to violently humiliate creatures that are much larger than I and were clearly just trying to enjoy a nap in a bushel and I did not mean to get so close to your hive, I am sorry and your stings are not necessary. Please do not sting me, bees. I mean, I should not sting things, me. I live for a long time because there has been the same looking me going around for a long time so either every other bee looks exactly like I do or bees live for a very long time. I am an immortal bee? I am a bee, and I know all kinds of other bee things. 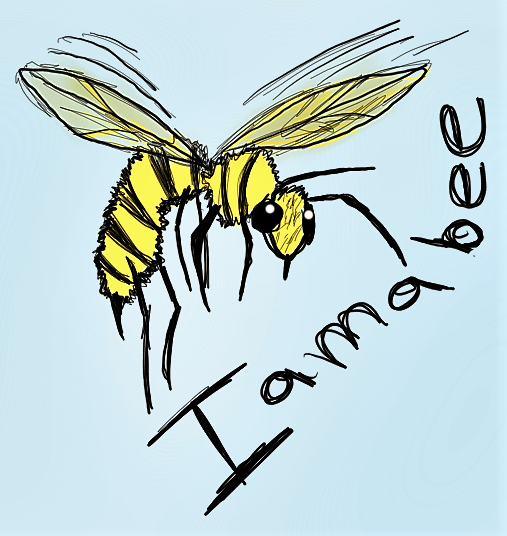 I am not a bee. I am a bear. I really thought that my limited experiences and encounters with bees (all mostly negative, but in my interpretation of their lives I was trying to give them the benefit of the doubt) would be enough for me to understand what it might actually be like to a bee. Upon trying to pretend I am a bee, I am discovering that my knowledge of the creatures is too limited for my portrayal to be at all authentic. I am not a bee. I really only understand bees as they are seen by me, a bear. Not even by all bears. Just me. And my experiences with bees have been limited to stings, buzzing sounds that scare me, and layers of pollen that I, admittedly, like to lick the skimming layer of as it gently rests on a still body of water like a puddle. These are mostly negative things with exception to the lovely pollen that also makes me sneeze so it can also be lumped into the bad category, I guess. I do not want to write off bees, however. Maybe I should accept that, because of the way the forest is setup, bees and I can only, at best, coexist as we retain such a limited scope of understanding of one another. I will simply have to accept the occasional sting and scary buzzing sounds. Just as bees will simply have to accept me sleeping in bushels and being curious about their hives. I hope we can both eventually learn from each other. About each other. I hope we can both not accidentally hurt each other. This entry was posted in Bear thoughts and tagged @a_single_bear, adventures, bear blog, bears, bees, humor, nature, stinging on August 24, 2015 by A bear. Being bear hard, terrible life of nothingness in cage that is rust and bad. You life at circus. You feel pain constant. You hear scary music always. You want end pain but pain no end. Never end. Your suffer is forever no matter how you choose to living your life of lonely. Cage your only confidant. Death your wish, but will never coming because suffer is only one. You look around cage. It rust. Chunks of bear hair cover floor and mock your cold. It have blood on many spaces of it. You feel cold air of circus sting open sore. This entry was posted in Adventures and tagged adventures, bears, choose your own adventure, circus, circus bears, humor, man is devil, tents on May 11, 2015 by A bear.